Mechanical Ventilation with Heat Recovery (MVHR) is a balanced and controlled forced-air ventilation system that both supplies and extracts air throughout your home. It delivers a balanced low energy solution that is extremely efficient as it re-uses up to 91% of the heat that would have otherwise have been lost through traditional ventilation methods. As our homes become increasingly airtight through energy efficiency measures such as draught-proofing, insulation and double-glazing, the lack of natural ventilation means that moisture created from everyday activities such as cooking, washing and even breathing remains in the property. This moisture builds up and collects on cold surfaces such as windows and exterior walls and causes damp, condensation and mould, all of which contribute to poor indoor air quality. An MVHR unit combats this by providing a source of constant ventilation, so that everyday moisture produced in the property is extracted to the outside so has no time to settle on surfaces, eliminating the risk of cosmetic or structural damage caused by condensation and mould. IS MY PROPERTY SUITABLE FOR MVHR? In whole-house MVHR systems, ‘wet’ rooms (i.e. rooms that produce significant levels of moisture) such as kitchens, bathrooms, utility rooms and toilets, have extraction points installed to remove the warm, moist air. Before the air that has been removed is extracted outside, it is passed through a heat-exchanger within the ventilation unit to recover the heat which is transferred into the new fresh air. 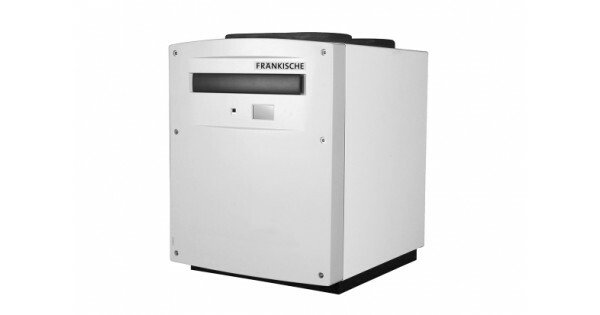 This new fresh, filtered, pre-warmed air is then supplied into the habitable rooms such as the bedrooms and living room. The heat exchanger can transfer up to 91% of the heat recovered into the fresh incoming air. Is my Home Suitable for MVHR? AES experts will carry out a bespoke ventilation rate calculation to assess your home’s MVHR needs. By examining factors such as your property’s size, shape and construction, this will determine the exact ventilation rate required to achieve optimal air flow in your home. Contact us today and we will discuss your MVHR options and arrange a site survey.